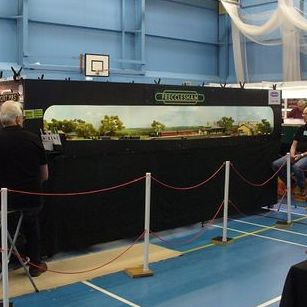 Welcome to the Newport Model Railway Society website. The club was formed back in the frozen mists of time, well the 1960's really. 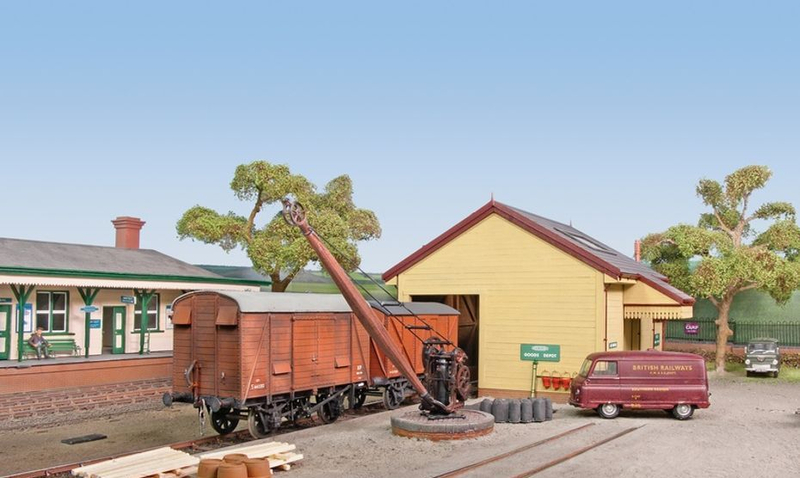 If you run, build or are just inquisitive about the world of model railways then you've found a home here. Most of our members were once young and didn't know better, now they are older...but still no wiser! We are a small club, but are always keen to welcome like-minded people. We don't take ourselves too seriously!! 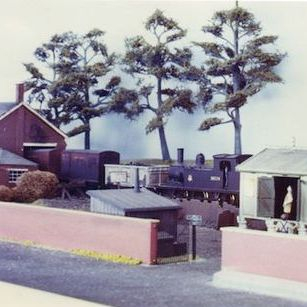 Within the club we have members who model in N gauge, HO, HOm, OO, P4, O gauge, Scaleseven and 16mm/ft narrow gauge while prototype affiliations encompass 19th Century LB&SCR, Edwardian and inter-war GWR, Cambrian and Brecon and Merthyr, S&DR, Swiss and Welsh narrow gauge and light railways, American steam and early diesel to all (well, maybe not Scottish) the regions of British Railways. 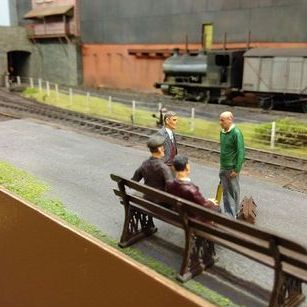 We hold periodic open days and O gauge test track days at our club house when we open out doors to all. 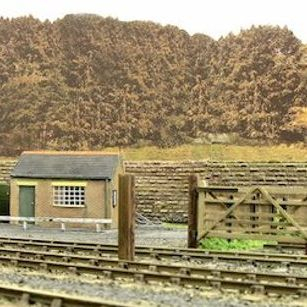 Our latest 7mm layout is Frecclesham, which is based on BR Southern Region practice and loosely inspired by a prototype location. It appeared in the September 2014 edition of the Railway Modeller. Pictures from the magazine photo shoot can be found on the Frecclesham RM 2014 page. 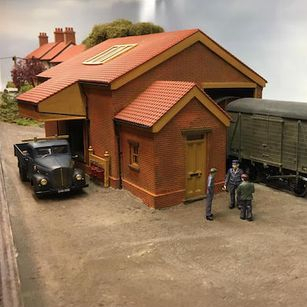 Frecclesham Goods Shed and Station. We are currently building two new P4 layouts - one long-term and one short-term project. The former is based on Little Mill Junction, a station just north of Pontypool. It is a departure for the club to reproduce a real area. The short-term one is Abergavenny Blackbrook, a fictitious branch line terminus. 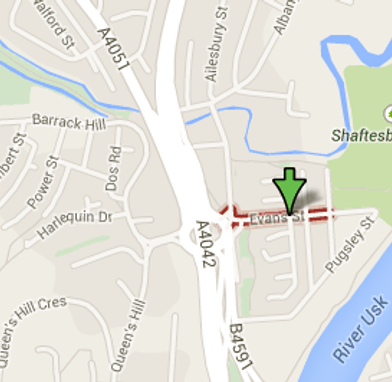 The club meets at Shaftesbury Community Centre in Evans Street, Newport, NP20 5LD. Club nights are Tuesdays and Fridays from about 7:30 onwards. Easy parking is available, as are tea, coffee and biscuits. If you are going to call in its best to contact us first. Leave the station at the southern side (city centre), turn left into Queensway. Just before you get to the old station building (now the Information Station) cross the road, turn left and immediately right into the old Station Approach. At this point you will be favoured with a view of a 25' long low-relief brick sculpture of Newport Castle (the GWR 4-6-0, not the Norman fortification). Continue eastward in High Street towards the Old Castle roundabout. Take the pedestrian walkway under the roundabout. Here you will see a mosaic mural depicting scenes form the Monmouthshire Railway. Turn left, northwards, passing Newport Castle (the Norman fortification, not the GWR 4-6-0) and then under the South Wales Railway mainline. Continue northwards over the footbridge for about 400 yards alongside the B4591 (see the map) and just before you reach Vanilla Spice (a large stone-built Indian Restaurant) turn 90 degrees right into Evans Street. The Shaftesbury Community Centre is about 100 yards further on the left. Clockwise from top left: Frecclesham; Dave Hagger's Pavilion End; Belle Vue; Steve Neill's Bwthyn y Rhosod; Beechwood Park and Hazlehurst.